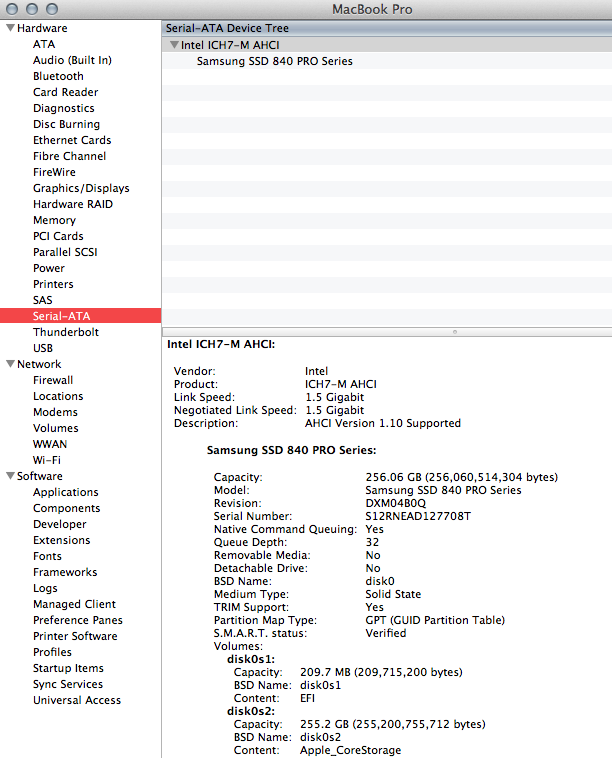 I have a first generation Intel Mac Book Pro 2006, this is the one with a Radeon card, which makes it incompatible with any other version of Mac OS than 10.7.5 (there are of course alternatives but I have not been too pushed to actually try them due to the incompatibility with the Radeon). 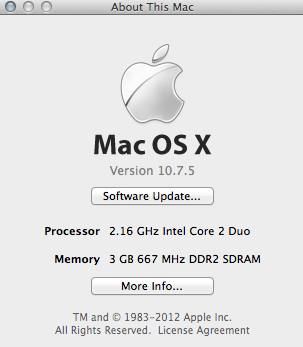 I upgraded this laptop a few years ago to 3GB of RAM and this was quite a nice upgrade. The hard disk however has been the same for over 5 years, a sturdy but slow 5400rpm drive. When I started looking at options to upgrade this laptop, an obvious one was SSDs. As it turns out, I had a Samsung 840 Pro lying around. Although I am aware the controller supports only SATA-I, I thought this was worth a shot. You need to also be aware that Apple up until recent versions supports only “official” SSDs for TRIM functions, which is definitely a problem if you want it to survive. I ended up using Chameleon SSD Optimizer which can enable it for “non official” SSDs. You can then double check on the system report menu if that worked properly. Be also aware that every patch update will disable TRIM support and require you to enable it again. Last but not least, speed. I am now able to boot that 10 years old laptop within 15 seconds, and that is with file vault enabled. Speed on opening programs is very good and much much much faster than with the old drive. I say not a bad upgrade at all. 11/01/2016 adminComments are off for this post. FRLinux on New shiny server! Edo on New shiny server!